Premium Rubber Custom Fit Trunk Liner Gray Just $28.50! Reg. $70! Ships FREE! You are here: Home / Great Deals / Amazon Deals / Premium Rubber Custom Fit Trunk Liner Gray Just $28.50! Reg. $70! Ships FREE! After a while of hauling around the kids and their stuff your trunk can get pretty gross! 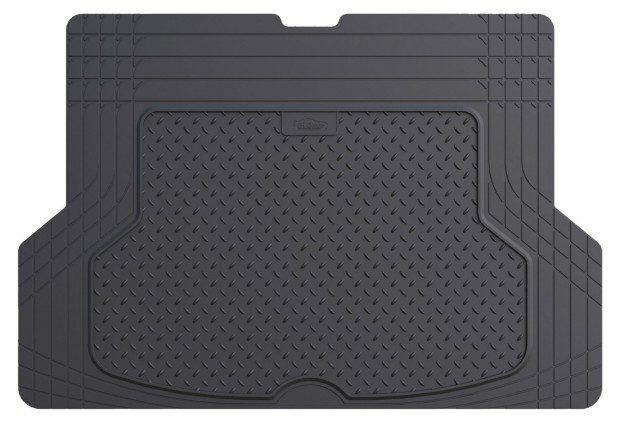 Head over to Amazon and order the Premium Rubber Custom Fit Trunk Liner/Cargo Mat Gray for Just $28.50! Down from $70! Ships FREE! Thicker, more flexible rubber for ultimate durability. Taller walls and deeper channels protect from bigger spills. Waterproof, stain-resistant, and easy to clean. Unique surface pattern keeps cargo from shifting around.